The Extra Mile Podcast for Bar Exam Takers. A look at all things related to the bar exam with your host, Jackson Mumey, owner of Celebration Bar Review. Episodes include interviews with successful bar exam students, exam review and analysis and preparation suggestions and tips to help you pass your bar exam. 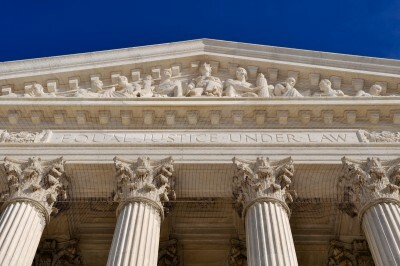 The US Supreme Court has just completed its 2016 Term and announced the final decisions in a number of significant cases. In this soundtrack to our Facebook Live Video, Jackson reviews the highlights of the term and how those decisions could impact bar exam questions. After listening to this Episode, what do you think? We'd love to hear your thoughts, questions and experiences about the Bar Exam and this Episode. Please be sure to leave an honest rating and review when you're done listening. We really want to get your feedback! If you're not currently a Celebration Bar Review student, we also want to invite you to schedule a Free, No Obligation Consultation with Jackson to do your own '360 degree review' of your studies. Just use this link to schedule your conference. If you'd like to join our Extra Mile for Bar Takers private group on Facebook and receive all of the great new benefits of membership, including Bar-U course access for just $77 per month, just click here to start your 5-day free trial period. How to Make the NEXT Bar Exam Your LAST Bar Exam! Our countdown to the July 2016 Bar Exam continues and in today's Episode, Jackson talks about the challenges you're facing around the 7th week before the test. Regardless of when you listen to today's message you may find yourself relating to the feelings and frustration described here. If so, Jackson's approach to getting past this hurdle on your way to the test will prove invaluable! Here's the video version of today's Episode. Unsure how to answer an MBE Question? Leave it to your intuition to decide. Your non-conscious brain will support it, research suggests. In this soundtrack to our Facebook Live Video, Jackson reveals the powerful role that your intuitive mind plays in effective study and higher bar exam test scores. You'll also find out about a simple muscle test you can use to determine the strength of your intuition on any topic. 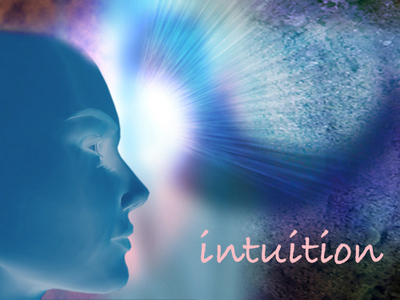 You'll also learn about a simple but powerful tool that can help you amplify your intuition. You can purchase the Intuition Amplifier Paraliminal download from this link (affiliate). We're now within 40 days until the July bar exam and in today's Episode, Jackson looks at how your studies should begin to narrow down through the Learning Funnel. You'll discover what's useful to review and what you can safely ignore as you enter the next phase of your preparation. Remember Plato's allegory about the man in the cave? They are chained to a wall and can only see their shadows made by the fire behind them with no idea of what the reality is that causes them to appear. That's a pretty accurate description of a lot of bar takers right now! In this soundtrack to our Facebook Live Video, Jackson talks about the shadows that can deceive a bar taker and divert them from the reality of their studies. Link to Brad Paisley Video: Celebrity mentioned in today's Episode. In this soundtrack to our Facebook Live Video, Jackson talks about a mistaken strategy used by many bar takers: Relying on Model Answers from the Bar Examiners. In today's episode you'll learn 4 reasons why you absolutely cannot trust those answers as you prepare for the exam and what you should be doing instead! In this Episode, we interview a successful NJ Bar Exam Taker, Dana Morgan. Dana tells her encouraging and inspiring story of how she took on the bar exam - and passed on her first try - with the help of her family and the guidance from Celebration Bar Review. Dana's talks about how she studied and the role that her faith played in the process and outcome. It's a great story of triumph and joy! In this soundtrack to our Facebook Live Video, Jackson answers a question from a prospective student about what we can do to help pass the bar "other than write 100 essays." You'll learn 5 things you can - and should - do to prepare for the bar that go beyond simply writing practice essay answers. We also want to invite you to schedule a Free, No Obligation Consultation with Jackson to do your own 360 degree 'brown bag review' of your results. Today's interview is with someone who passed the California Bar Exam in Feb 2016 after failing the Michigan bar the year before. Beilal Chatila shares his journey and the experience of moving to California and taking the most difficult exam in the country. You'll hear how he used the least expensive Celebration Bar Review course to guide him and the importance of being open and teachable. It's an inspiring conversation!